1. Eat food at fixed hours. Do not overeat. 2. Do not eat immediately after a workout. 3. If you are on insulin, make sure you have three proper meals with light snacks in between. 4. Do not eat fast; masticate and munch your food well before you swallow. 5. Drink a lot of water that will help flush the toxins off your system. 6. Make sure the gaps between your meals are short. 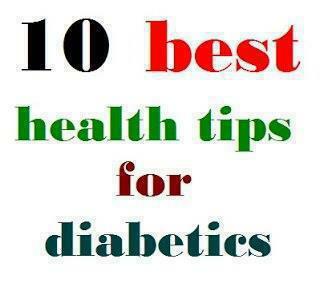 Avoid fried foods and sweetmeats. 7. Include fresh vegetable salad in every meal. 8. Have at least 20 to 25 grams of raw onion daily. 9. Do atleast 1 hour exercise daily. 10. Add wheat bran to your wheatflour (50% wheatflour + 50% wheat bran). This helps to increase fibre in your diet.